You might be contemplating your first triathlon or duathlon or maybe you think it’s time to take on an Ironman. The question is how do you prepare yourself with quality information to take you the next level? Since we are not professional coaches we have asked a group of coaches to help us get you the best advice in your training, health and fitness. We will continue to add new coaches to get more opinions on training. We will also provide links to all of these coaches should you wish to contact them yourself. These coaches have also generously donated coaching prizes in out Season Long Draw. Paolina Allan & Roger Hospedales have an unmatched racing and coaching experience of over 40 years, and have joined forces to provide the ultimate experience to empower you to your best possible performance. Both have raced in Kona, completed over 35 Ironman races, have won races and amassed numerous podium placings, and most importantly, have coached many levels of athletes to reach their goals – whether it be to get on the podium or simply finish their race. 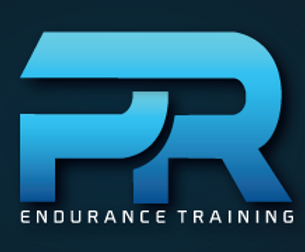 Learn more about the PR Endurance Training and their Services. As a professional triathlete, Richard Pady has represented Canada at 5 World Championships, 4 Ironman events and has 14 years of high performance training in the sport of triathlon. Healthy Results Training focuses on promoting a balanced approach to exercise and lifestyle change by working closely with each client to ensure that they are performing a safe and effective training program. As a coach, Richard has worked with clients whose goals, ages, and abilities are very diverse. Richard’s passion is to help any person to strive for a new level of fitness, health, and lifestyle. With hard work combined with a fun, effective training program, he believes that anyone can achieve Healthy Results! At NRG Performance Training we combine science and experience to optimize your performance. Head Coach Nigel Gray has over 8 years of coaching experience and has been traveling around the world racing as a Pro for the last 11years. To ensure the most effective training program we use lactate testing to set out individualized heart rate and power zones as well as monitoring performance improvements. These zones are then incorporated into a program that is designed to have your training fit into your lifestyle and not the other way around. Our individualized programs will optimize your training time and race performance whether you are a beginner or professional athlete. At NRG Performance Training we believe in offering the highest level of service and we believe the only way to accomplish this is by limiting the number of athletes each coach will work with. Are you ready to maximize your performance? CL Performance Training offers much of what an athlete needs to achieve their goals in triathlon including online and in-person triathlon coaching, personal training, training camps, bike servicing and bike fitting. Our coaches have 15+ years of combined coaching experience and have been racing as endurance athletes for over 20 years. We combine extensive education and experience to build training plans and work with you personally to help you achieve goals and dreams in endurance sport (triathlon, cycling, running, ultra running and adventure racing). Coach Cindy Lewis-Caballero is a doctor of Chiropractic, certified coach, personal trainer and professional triathlete. Coach Al Caballero is a F.I.S.T. certified bike fitter, coach and triathlete. Andre Gordon offers personal training sessions and classes in Toronto for anyone of every level. Whether you want 1-on-1 sessions, small group sessions/classes or corporate group classes, Andre will give you the attention you need. Chris Helwig has been coaching endurance athletes since 1994. Based out of London Ontario Chris has coached Multi Sport athletes of all levels from Try a Tri up to Kona Qualifiers. While Chris’ background is in competitive road cycling and time trialing he has recently started doing Multi Sport events and has coached Cross Country running. His philosophy is to personalize each athletes program based around their goals, history of physical activity, lifestyle considerations and time availability. Chris offer’s Personalized Coaching as well as Testing Services. In 1985 Sheri signed up for Kona, then went out and bought a bike and learned how to swim. While working full time, she raised twin boys, raced as a professional for 14 years with 23 top 8 Ironman finishes and numerous national and world championship titles. With a back ground in biomechanics, she has now been coaching for 20 years, offering local and warm weather camps, Splash n Dash Series, swim and run clinics, cross fit classes, yoga, winter bike classes and beginner to high level endurance programs. Sheri is a Triathlon Ontario competition certified coach with a fantastic support staff of 12 certified coaches who all also train and compete. Transition Myself Training – owned and operated by Chris Pickering. Chris is a certified personal training specialist and an NCCP Trained Triathlon Coach. A sports enthusiast his entire life, Chris decided to follow his passion of living an active and healthy lifestyle. Whether you are looking to start a fitness program, do your first triathlon, or are training for Ironman, Chris will provide you with the training and guidance necessary to turn your goals into reality. Personal Excellence Coaching Services Jane Armstrong has over 25 years of experience coaching all ages and abilities. My degree in psychology, coupled with my extensive formal training in coaching methods, and my own athletic experience, allows me to develop effective training on a personal level. Racing and training as a high performance athlete is a physically, emotionally and mentally rewarding challenge. I have completed more than 300 running, cycling and multisport races, including 17 Duathlon World Championships to date. This challenge improves the quality of my life and serves as an example to others. I firmly believe in developing the mental training aspects of the sport as well as the physical aspects. If your primary goal is personal excellence, my commitment and passion as a coach is to guide you in maximizing your training efforts, based on your individual needs.